I have nothing against headpins. I use them too, but sometimes you need a change to jumpstart your creativity. Here's a crazy jewelry making idea. Give up headpins for just one day. No headpins! A crazy notion indeed. Headpins are a jewelry making staple. 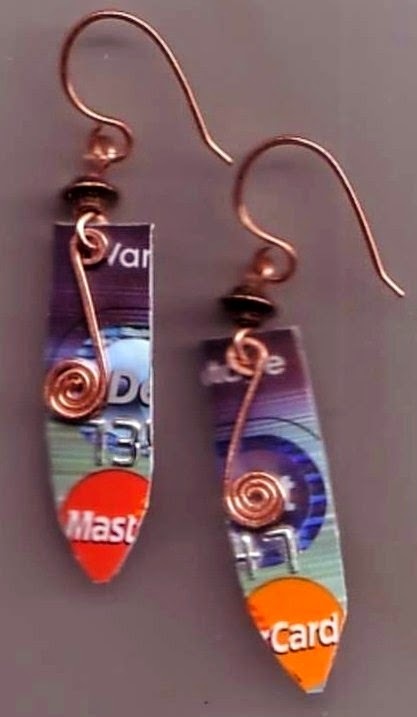 An earring DIY must-have. 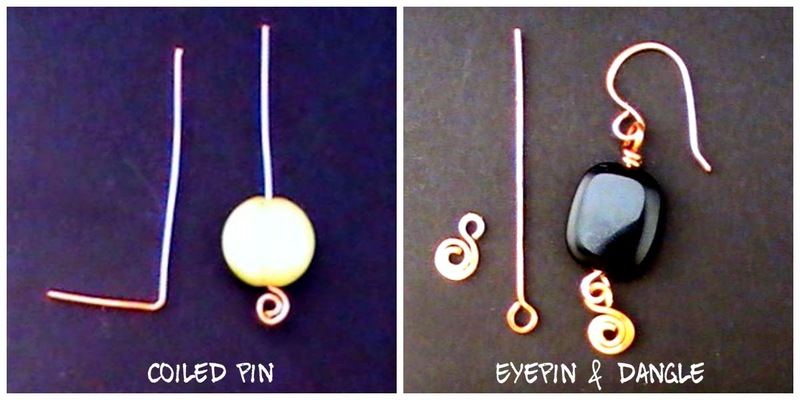 Headpin + bead + loop + earwires = earrings. You can do it with your eyes closed. Why would you reject your dependable, little flat-headed jewelry making friends? 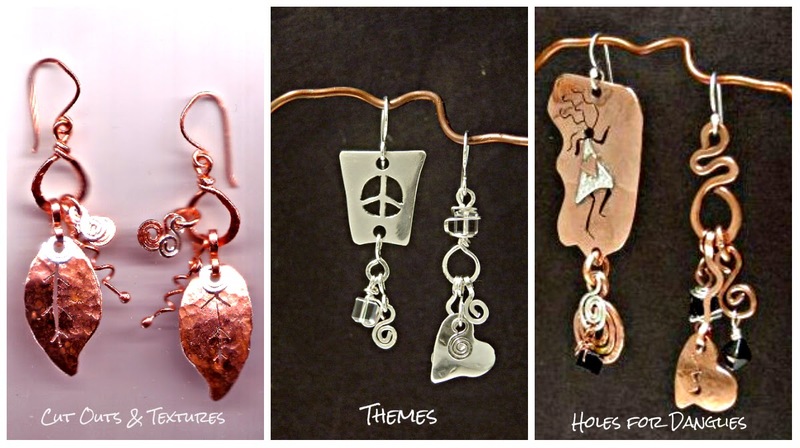 I love headpins too; but when you let go of what you usually do, you challenge your creativity. Try it for just one day. 20 and 16 gauge wire - 20 fits bead holes best. 16 makes bold shapes. Learn a few basic no headpin techniques. Use your imagination; and soon you'll have tons of your own no headpin ideas. ½ inch down bend the wire to a right angle. Use round nosed pliers to form a loop at the end of the ½ inch segment. Hold with pliers and rotate the loop into a tight coil. (Optional) Hammer the coil for smooth flat texture. Add beads, a loop and earwires. Cut 2 - two inch wire pieces. Add a charm. Make a wire coil or add other shape to the bottom. Hold wire pieces together and form a zigzag pattern about 1 & ¾ inches from the top. (Optional) Hammer the zigzag part only. The zigzag should lay flat against bead. Wrap the end of the zigzag part around the pin. 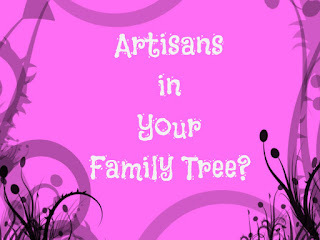 Use them plain or add beads, charms or wire coils if you choose. Would it be cruel to insist you give up headpins and beads on the same day? Try it. Experiment with shapes: circles, squares, triangles. 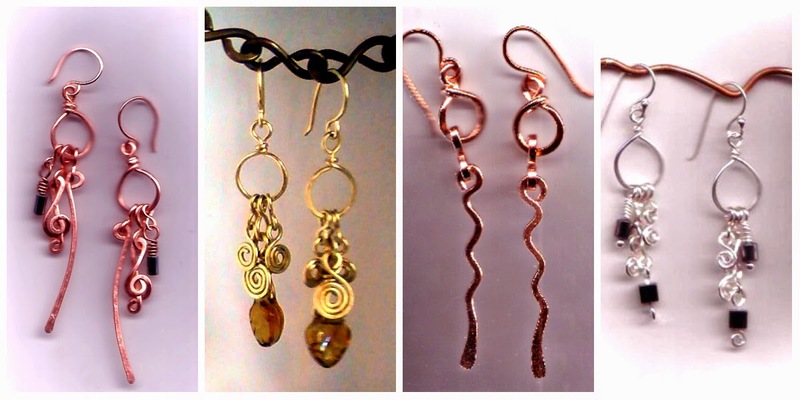 Bring out your wire Jig and create unusual shapes. Hammering helps retain the shapes you create, but don't hit them too hard. You could weaken the wire. If you know how to use a jeweler's saw or even metal shears, use them to cut simple metal shapes. Add texture with a hammer. Drill holes to add a danglies or beads. Updated from my original article published on Yahoo Voices. 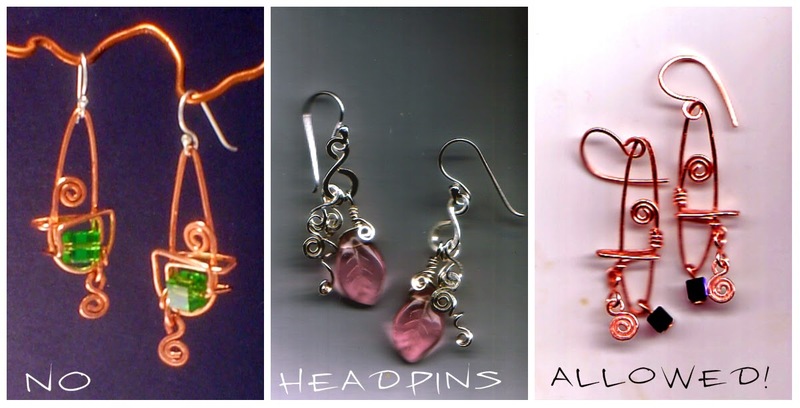 I've updated "No Headpins Allowed" to "We Don't Need No Headpins" in my new ebook, "Wire Jewlery, Make It Funky!"